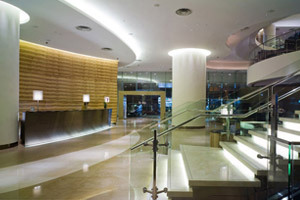 Novotel Century Hong Kong Hotel is located in the bright and bustling heart of the Victoria Harbour. Surrounded by boutique shops, tiny yet delicious eateries and authentic local markets, as well as being convenient to the business and convention district, Novotel Century is the perfect base for exploring this colorful and cosmopolitan metropolis. 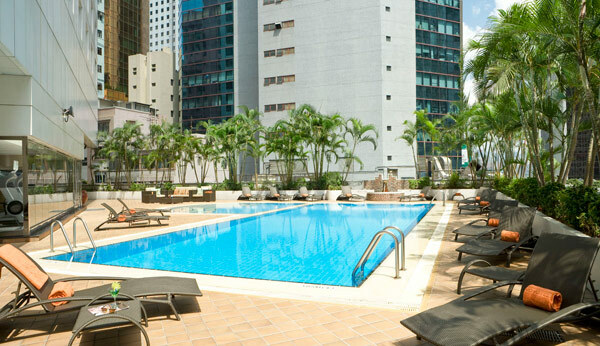 The hotel seamlessly blends tradition and modernity in Hong Kong. Novotel Century has 511 rooms, where you can appreciate the simple pleasures - leisure facilities, foot spa facility, food and beverage outlets, and a state-of-the-art health club. Fitness amenities include a gym, outdoor pool and a sauna. The hotel's three restaurants and bar span the four corners of the globe with their cuisine selection. Room rates exclude 10% service charge and meal. Any cancellation made after 19 Mar, 2014 or on-day no show, one night room charge.